Do you like food? Do you like books? Do I even have to ask? The rich sensory detail of food has a strangely immersive power when reading fiction — think of iconic dishes like Narnia’s tempting Turkish delight or Harry Potter’s festive butterbeer. These cookbooks, ranging from the imagined cuisine of a medieval fantasy world to a fictional detective’s homemade specialties, will give you a new way to appreciate your favorite works of fiction. And if you like cooking and baking, take a look at our Bookish Baking recipes. Haven’t we all been burned by forking out $40 on some fancy gourmet tome, only to watch it gathering dust on the shelf? Especially when the cookbook in question is a collection of pseudo-medieval cookery inspired by HBO’s hit fantasy show Game of Thrones. But don’t dismiss this as just a gratuitous cash-grab — it’s a serious cookbook. 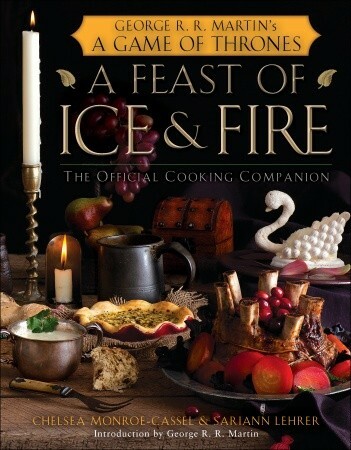 While you don’t need to be a fan of the show (or the books) to enjoy this cookbook, its organization will make more sense if you’re familiar with its fantasy world, as each chapter deals with a different kingdom or region of Westeros. 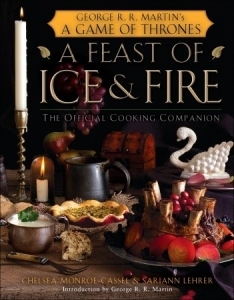 This would be a great cookbook if, say, you host regular “Game of Thrones” viewing parties and want something authentic to serve, or if you’re planning a medieval-themed dinner party or event. See our full review. 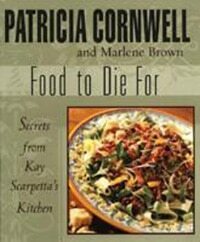 If you enjoy the cozy mysteries that feature tantalizing recipes between chapters, then you’ll love Patricia Cornwell’s collection of recipes from her fictional crime-solving medical examiner Kay Scarpetta. Dishes include Miami-Style Chili with Beer (All That Remains), Grilled Grouper with Butter and Key Lime Juice (Cruel & Unusual), Jack Daniel’s Chocolate-Pecan Pie (The Body Farm), Lamb Chops Seasoned with Seven Herbs (The Last Precinct), and Fig, Melon, and Prosciutto Salad (Cause of Death). 40 color photographs put you at the scene of the crime. Published in 2001, this book may be a little harder to find, but it’s available used on Amazon for the bargain price of one cent. I first read this book when I had a historically accurate case of scarlet fever. A friend had given it to me (the book, not the illness), and I figured reading about the miseries of the pioneer diet would put my suffering in perspective. While the no-frills, cornmeal-and-lard-heavy recipes didn’t do much for my appetite, it did make me profoundly grateful to live in an era of canned chicken noodle soup. And some dishes, like the buckwheat pancakes with blueberry sauce or stewed rabbit and dumplings, sound downright appetizing. 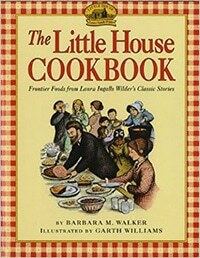 Each recipe includes a short quote or synopsis of where it appeared in the books, plus the author’s notes on preparation in the modern kitchen. Many of the recipes require old-fashioned cookware, hard-to-procure ingredients, and labor-intensive steps, though, so probably only the most intrepid pioneer cooks will actually put this book to the test. Fictional sleuths sure do like to cook! Everyone’s favorite strawberry-blonde teen sleuth, Nancy Drew, is a girl of many talents in the kitchen. 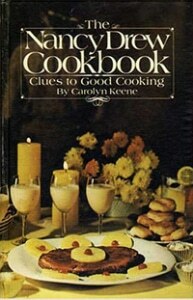 Originally published in 1973, it definitely shows its age with some decidedly vintage-sounding recipes (chicken salad with bananas? tomato-soup-and-bread-crumb eggs? ), so this one may be more for entertainment than actual use. Though I wouldn’t say no to a piping-hot bowl of Sleuth Soup! For a sneak peek, The Hairpin has some highlights from the recipe collection. 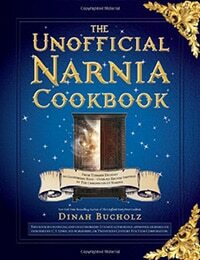 Dinah Bucholz, author of the bestselling Unofficial Harry Potter Cookbook, tackles the classic Narnia children’s fantasy series in this cookbook. Inside, you’ll find more than 150 recipes for breakfast, snacks, lunch, dinner, and dessert. (Fear not, Turkish Delight is absolutely included.) Appropriately, the food tends toward classic, hearty English fare, such as meat pasties, fried fish, and game pie, with plenty of teatime treats like sponge cake and sticky toffee pudding. Measurements are given in imperial, not metric, units, and oven temperatures are in Fahrenheit, so this is clearly intended for American audiences. The tie-ins to the Narnia books can be rather weak, but there’s an abundance of simple, classic recipes here that any Anglophile will enjoy. 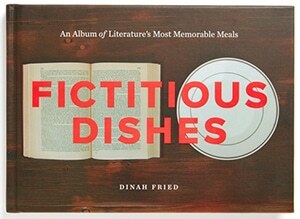 OK, this one isn’t exactly a cookbook, more of a literary-dining look book. But I’m adding it here because it’s a fun, visual take on iconic literary meals. For each two-page spread, the left side includes the title of the book, a tiny illustration relating to the book (don’t overlook these, they’re clever and charmingly done), and a short passage describing the meal in question, along with a few bits of random trivia. The right side is a full-page photo of Fried’s recreation of the food, often involving backgrounds and props that reference the source book. Some are mouth-wateringly appetizing or beautifully lavish, but others are starkly simple or downright off-putting, like the pile of rotting food that represents The Metamorphosis. See our full review.